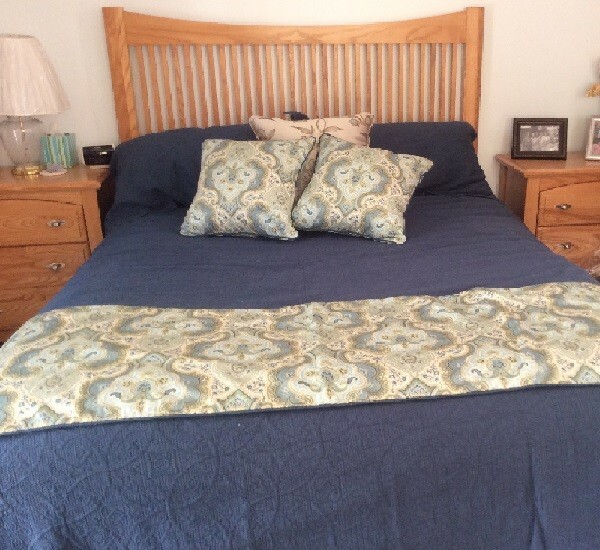 One of a Kind Bedding Solutions - Sew What? Sew Anything! - Sew What? Sew Anything! Searching for one of a kind bedding solutions? For a bedroom, there is no better way to create a design lift than custom designed bedding and home décor elements. Dozens of “bedding in a bag” choices from the local retailer turn into hundreds of quality combination options customized for your bedroom and furniture when you let us loose in your bedroom with our fabric books. Sew What? Sew Anything! is ready to deliver a high quality, one-of-a kind bedding solution for your home.